5a. Are OER being reused by teachers – track from demand side but could try sampling teaching to see if there is any evidence of OER in the teaching materials that students see. 5b. Automated ways to track OER such as watermarks. Persistence and comparison of original with derived. During his visit as an OLnet Expert Fellow, Scott Leslie devised a method to track OER that have been downloaded from their original locations and are being used elsewhere, a use case that did not appear to have been previously addressed by the OER community. 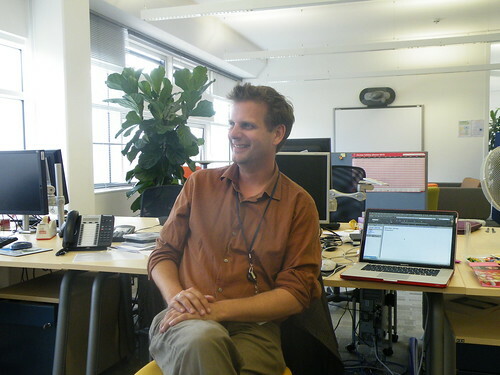 Scott Leslie is an educational technologist, hacker, researcher and open content/open network activist. He currently works as the Manager of Client Services in Open Education for BCcampus, a province-wide post-secondary agency in British Columbia, Canada. Previously, Scott researched course management systems, repository and eportfolio software with Dr. Bruce Landon as part of the Western Cooperative on Educational Telecommunications’ (WCET) Edutools.info team. He was the research coordinator for educational technology at the Centre for Curriculum, Transfer and Technology (C2T2), a post-secondary system agency in British Columbia, Canada. Scott was also the webmaster at both Mount Royal College and The Banff Centre for Continuing Education, and an instructor for the PanCanadian EdTech Summer Institute. He holds a combined honors BA in English and Philosophy from the University of Western Ontario, and a MA in Critical and Cultural Theory from the University of Wales, College Cardiff.